Ep 108 Inglorious Basterds : Do You Expect Us To Talk? At last, Do You Expect Us To Talk has returned with the next instalment in the Quinten Tarantino series. 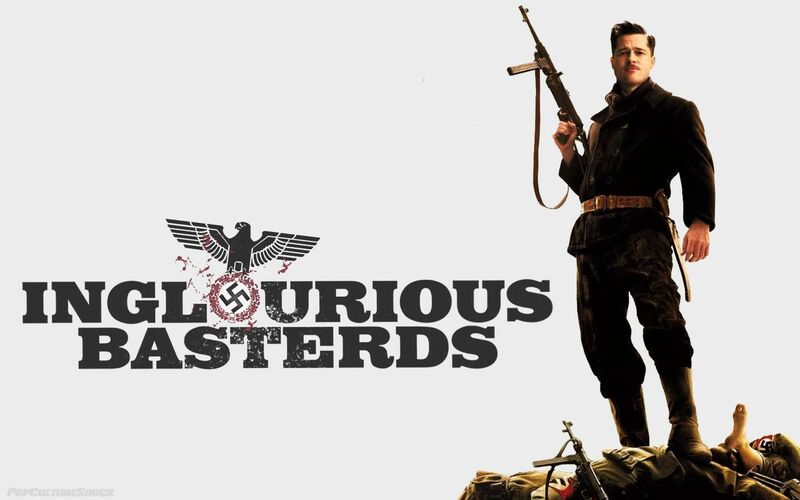 This episode we delve into Inglorious Basterds, the first of his altered history movies. Starring Brad Pitt set in Paris during World War Two, a rogue team of soldiers on a mission to kill Nazis are sent to blow up a cinema with the top Nazi leaders to a premiere of a propaganda film. Meanwhile, the owner of the cinema sees an opportunity to burn down the cinema herself to reap her own vengeance. Listen to Becca, Chris and Dave as Chris forgets peoples names, why is Austin Powers in this film, Diane Kruger should be a Bond girl, why Fassbender would be great as Bond but won’t, Christoph Waltz being great and Tarantino love of food…. and feet.